Because of its ability to seemingly describe reality with heightened sense of fact and truth, photography has been utilized as a means to bear witness to world’s events and ways of life. Originally, this type of photography, documentary, photojournalism and press photography, functioned as a means of providing visual information, evidence, of the “real world” with the intention to bring to awareness and attention to the events of the time as historical facts. With the traditional contexts of each of these genres, the photographs created were not concerned with the private experience of the photographer, but rather addressed an external experience of what was in front of the lens. 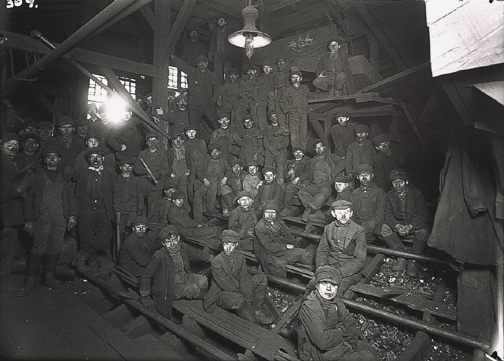 In considering the work of Jacob Riis, Lewis Hine, the FSA photographers (Dorothea Lange, Walker Evans, Arthur Rothstein, and others), and August Sander, documentary photography has implied a practice in which the photographer examined a socially conscious concern of the time within an extended form. An extensive series of images as well as the use of text are utilized to provide an in-depth examination into a subject with the intention to suggest empathy and/or social change. While photojournalism has also implied the use of an extended form, the photojournalist works within the more limiting structure of the photo essay in which fewer pictures are used to present topics in a transitory manner. Compared to the documentary photographer, the photojournalist is not afforded as much time to explore their subject with great depth due to editorial time and budget constraints since the work is controlled within an editorial hierarchy and operates on specific production deadlines. Within a historical context before the advent of television, newspapers and magazines, such as Life, Look, and The Saturday Evening Post, featured photo essays, by such photojournalists as Alfred Eisenstaedt, Robert Capa, W. Eugene Smith, Margaret Bourke-White, Philip Jones Griffiths and Larry Burrows, that gave magazine readers an opportunity to see what was happening in the world. Many of these photographers worked independently for wire-services, including United Press International (UPI) or Associated Press (AP) or formed photographic agency cooperatives such as Magnum Photos. Contemporary photographers who have worked within both the contexts of documentary and photojournalism include Sebastião Salgado, Mary Ellen Mark, Susan Meiselas, Lauren Greenfield, Eugene Richards, and James Nachtwey. Particularly in contemporary times with the rapid demise of newspapers as a vehicle of communication, the photojournalist may now often function as a press photographer, charged with the rapid production of specific images from pre-determined circumstances such as “photo opportunities” or as a spontaneous event. As the press photographer is not afforded the time to explore their subject in-depth, the resulting images are more often hurried and stereotypical in satisfying editorial demands. In a time of the proliferation of cable news networks and the Internet, imagery of the world’s events now happens instantaneously. The amount of coverage of our lives daily experiences and its rapid presentation is inescapable. In consideration of the contemporary media culture, a decrease in commissioned documentary projects and the need to shift the context of documentary photographic practice, photographers interested exploring the contemporary experiences of the “real world” are incorporating new conceptual and aesthetic strategies as a means of challenging traditional practice. While photographers, including Ken Light and Shelby Lee Adams, have immersed themselves into the experiences of others in the contemporary social landscape, other photographers, such as Danny Lyon, Larry Clark and Nan Goldin have infused their observations of others with their own sense of experience. Many contemporary photographers, including Fazal Sheikh, Simon Norfolk, Luc Delahaye, Paul Graham and Martin Parr, are examining the social world with a measured sense of contemplation, slowing down the image-making process with their use of medium- and large-format cameras as well as utilizing color and large-scale to challenge documentary conventions. Visually investigate the genre of documentary photography from traditional and/or contemporary contexts. Explore the possibilities of utilizing various cameras and/or materials (analog and digital, black & white or color), the use and function of text and/or other materials, including found objects or letters, as well as presentation strategies (multiple-image and/or image scale) to inform your curiosities and ideas. In shooting your images, focus your energies on creating visually engaging compositions as suggested by your use of the photographic frame, point of view, details, moments of exposure, light and handling of materials. 1 – 2 Digital edited contact sheets with a minimum of 24 images that reflect your interpretation of the genre of documentary photography from traditional and/or contemporary contexts through your photographic vision and sense of technical execution and craftsmanship (Due at time of scheduled individual critiques). 1 – 2 Digital edited contact sheets with a minimum of 8 images that reflect and begin reveal a tighter edit of your interpretation of the genre of documentary photography from traditional and/or contemporary contextse through your photographic vision and sense of technical execution and craftsmanship. (Due at a time between individual critique and scheduled class critique). Minimum of 5 – finished photographic prints made in the Grossmont College Analog | Digital Photography Labs.